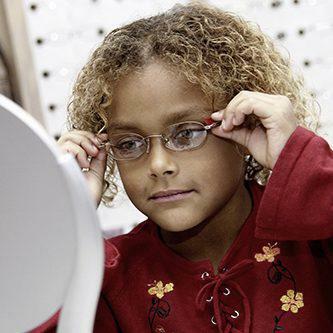 When you’re looking for a pair of corrective eyewear in Simpsonville, SC, it’s important to find an eyewear store with a wide selection and helpful staff, so you can be sure to find exactly the right pair of glasses for you. At ReVision (formerly Hillcrest Eyecare), we offer exactly that: a huge selection and a staff that’s ready and willing to help you pick corrective eyewear! We Have the Right Style That's Right for You! Once you’ve gone through the usual examinations, it’s time to pick the eyeglasses or contacts for you. If you’ve never had contacts before, we may have you try on different types of contact lenses to see which ones are the most comfortable. Our frames include everything from plastic to wires, colored frames to sunglasses. And of course, we have a variety of contact lenses as well, including cosmetic contact lenses. We encourage you to explore your options once you’re in our store. Our friendly staff members will assist you when you ask, and leave you to explore our stock when you want to explore on your own. You’re welcome to drop in at ReVision any time you want and take a look at our extensive glasses collection. However, if you know you want glasses and you need an exam, we encourage you to call and make an appointment. Doing this will ensure that you’re able to be seen by one of our eye doctors when you stop in. Contact us to schedule your exam today! We look forward to seeing you.